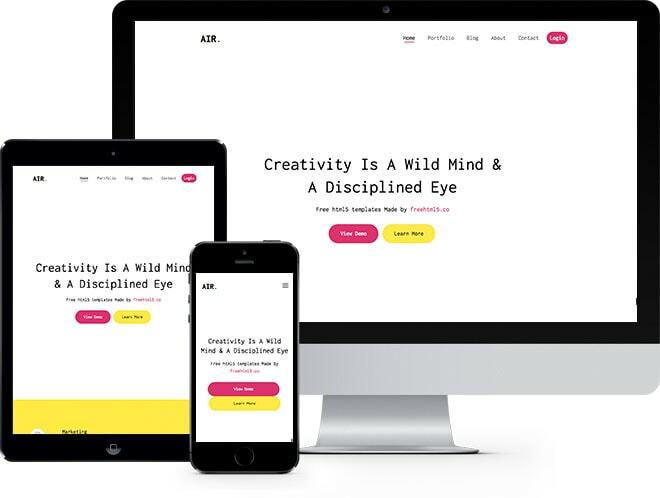 Air is a free html5 bootstrap template perfect for portfolio or landing pages to present your product. The features are smooth animation upon scrolling, flexslider, fully responsive, off-canvas menu on mobile and many more. Check out the demo and download!